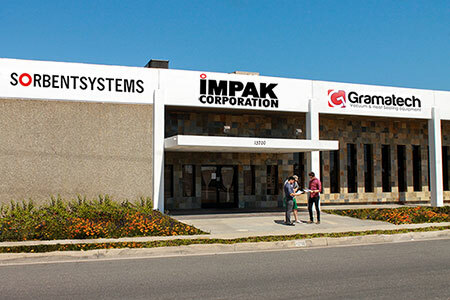 IMPAK is a company dedicated to customer service. We are proud to offer a Will Call service to those customers who are geographically close. •All Will Call orders will need to be prepaid via credit card or another acceptable form of payment sent ahead of time with sufficient time to clear with our bank. You will be notified via email or phone call when this has occurred. •Non-credit card transactions: Your money order must be sent in ahead of time for a minimum amount of $35.00. When your order has been pulled you will be notified via email or phone call. The balance of your order may be paid by money order when you pick it up. •You will need to allow a minimum of 24-48 hours for your order to be pulled and paperwork to be processed before you can Will Call your order. •You may request same day or less than 24 hour pick up by paying a $25.00 Rush Fee. In order to allow enough time for processing you must place your order by 1pm the previous business day. •Will call hours are: 8:30 AM - 4 PM. No "Will Call" orders will be processed before 8:30 AM or after 4 PM. Please prepay your order by credit card before you get here to speed up your process. Please give us advance notice and arrange your Will Call pickup with your sales rep.
•Will Calls outside of standard Will Call times are subject to a $25.00 fee and are only allowed at the discretion of the Warehouse Manager. •If your order is less than $45.00, we will also apply a $5.75 repackaging charge to your order. •*If you fail to pick up your order without notifying us by phone or email to orders@sorbentsystems.com, we will cancel your order and charge your credit card for 10% of the order or $32.00, whichever is greater as the restocking fee. If you have paid by check, we will refund the appropriate amount according to terms listed above. *IMPAK Corporation is a company dedicated to customer service, and as a company that ships worldwide on a daily basis, we find that boxes that have not been picked up by the customer and sit in the shipping area tend to become obstacles. Anything left longer than 48 hours from confirmed will call date will be removed from shipping and placed back into inventory for the safety of our warehouse employees.